CLEAN CARFAX!! UCONNECT PREMIUM AUDIO SYSTEM!! MATCHING HARDTOP!! NAVIGATION!! 2018 JEEP WRANGLER JK UNLIMITED SAHARA!! 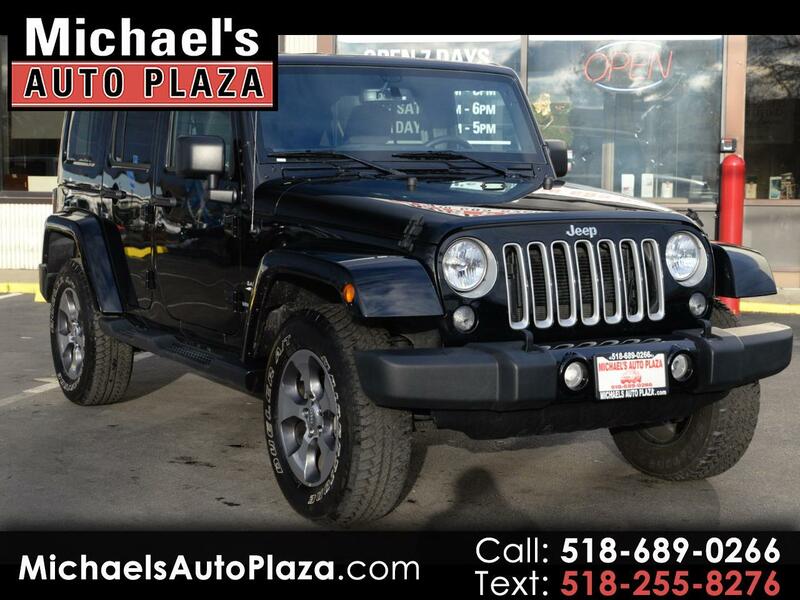 Only 17K miles, Black with Black Interior, Automatic, 4x4, Premium Alloy Wheels, Security System, Traction Control, Remote Starter, Power Steering, Running Boards, Keyless Entry, Rear Window Defroster, Anti-Lock Brakes, Steering Wheel Controls, Airbags, Power Windows, Locks & Mirrors. A/C, Cruise Control, Tilt Wheel, CD. Balance of the Factory Bumper to Bumper Warranty as well as Remaining Balance of the Factory Powertrain Warranty.